This is a variation on a recipe from The River Café Cookbook Easy. Pollock steaks at the ready! 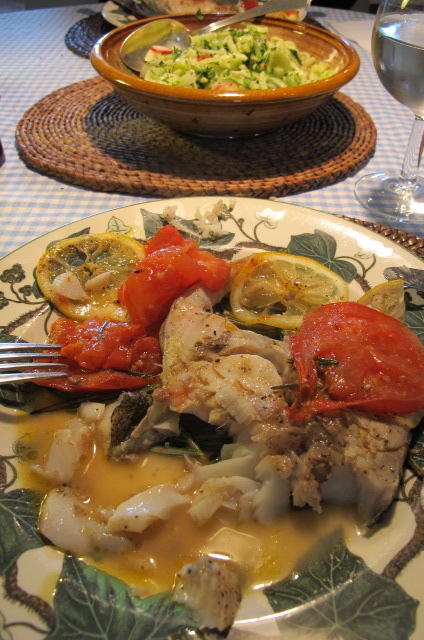 I’ve substituted pollock for monkfish (it’s on the list of sustainable fish) and added a sliced tomato which melds well with the oil, anchovy and lemon base. In the summer, sweet little cherry tomatoes halved add even more colour and taste. Put the lemon slices in a bowl and season them with salt and pepper–add a tablespoon of olive oil and mix carefully but thoroughly. In a small, shallow oven tray heat about a tablespoon of olive oil. Spread the rosemary over the base. 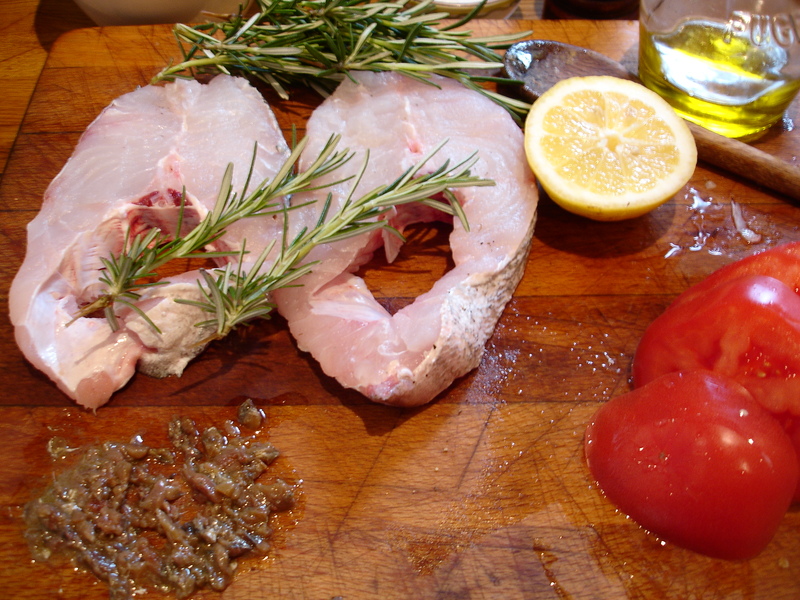 Place the fish steaks on top and season lightly. Spread half the the anchovy pulp on each and cover them with the lemon slices. 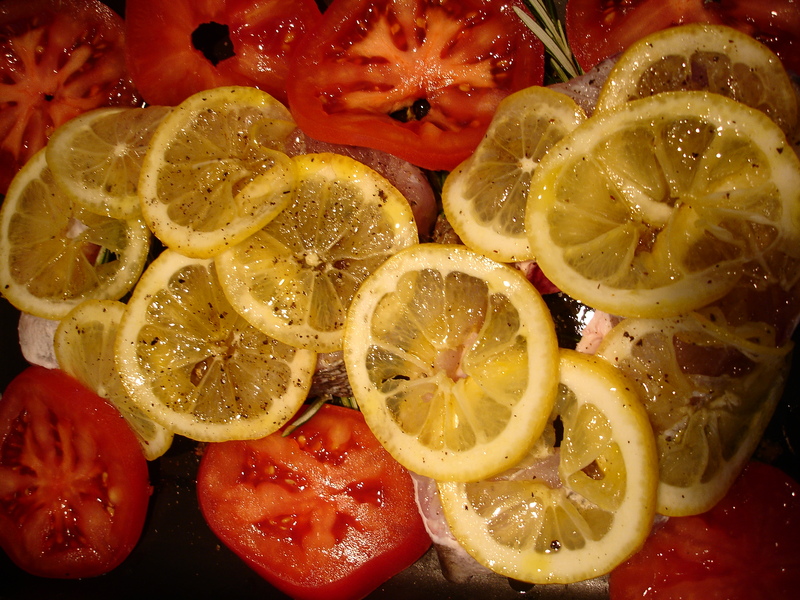 Arrange the tomato slices round the outside and drizzle the remaining tablespoon of olive oil over them. Roast in the middle of the oven for about 10 minutes–the time depends on the thickness of the steaks.